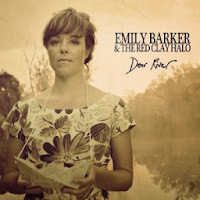 Dear River is Emily Barker’s fourth album and the third she’s released with her band The Red Clay Halo. It’s the follow-up to 2011’s critically-acclaimed Almanac, which saw her rise to prominence on the alt-folk scene and sell out prestigious venues such as Islington’s Union Chapel and also go out on tour with Frank Turner with whom they performed at the Olympic Opening Ceremony. This album demonstrates a progression in the band’s sound. Immediately in the opening lines of the title track opener, it sounds a far more confident, polished record and not afraid to alienate some of that folk following they’d gathered by sounding like a joyous pop record in parts without ever fully turning its back on their previous records and their roots. It’s a beautifully crafted record with Emily’s crisp, distinct vocals taking centre stage, but without downplaying the musical contributions from Jo (cello), Gill (accordion and piano) and Anna (violin and viola) and their backing vocals and harmonies. There’s no unnecessary flourishes, no overblown solos and it feels like every note played has a purpose. It uses the river and water as a metaphor in a number of the songs, talking of “we crossed the river and kept on till our past had become a place our eyes could not longer hold on to” on The Leaving and “come and confront our history” on Everywhen as the album progresses. The beauty of Emily’s lyrics are that they refer to her European ancestry, up-bringing in Australia and her move to the UK, yet they are relevant to anyone who has that lingering question of where home really is. Every word on the record feels like it’s coming from her heart though and feels intensely personal, which is no mean trick for any artist to pull off. There’s some truly astonishing records coming out of the folk scene at the moment, which are in stark contrast to the bland fodder that passes as it to the Glastonbury masses. Dear River is at the very top of that pile. Dear River is out on July 8th on standard CD, limited edition CD with bonus acoustic CD, heavyweight vinyl and special edition bundle, all of which can be ordered here. The title track is available as a download only single now. 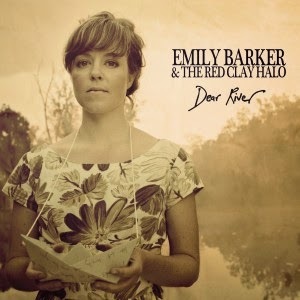 Emily Barker And The Red Clay Halo’s website can be found here. They are also on Facebook here and Emily is on Twitter here.